In the blog post series ‘Talking Style’ I’m interviewing fellow bloggers about their style. And I ask them for tips of fun unknown shops, and how to find your own style! Obviously, Joy had to be in this series as well. Me and Joy often photograph each others outfits, and she has an awesome style! Joy blogs on Everyday Escapism, and today she’s telling us all about her style, and she’s sharing her thrift shopping tip! So, what do you think of her style? 2. What can visitors expect when they land on your blog? There’s lots of things on my blog, as I’ve got a lot of varying hobby’s and interests. One main thing is the 2 OOTD posts I post every week. 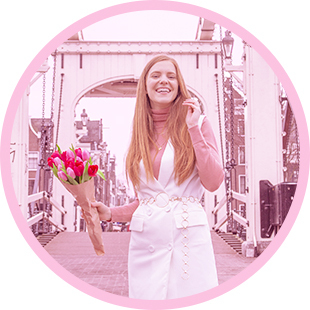 Next to that I’ll also post short stories, vegan recipes, cruelty free makeup reviews and I also like to keep you guys up to date about cool events in Amsterdam! 3. What’s on top of your wishlist? 4. What’s your favorite go-to outfit? These last few moments I’ve been wearing my black high waisted jeans a lot with either a tight jumper or an oversized garment. 5. You’re really into vintage and thrift shopping. Do you have any advice on how to find good bargains? The key to thrift shopping is patience! I recently found some very cool items priced at 1 euro a piece but I had to go through a lot of not-so-cool garments to find them. Take your time my friend! 6. Who’s your biggest (fashion) inspiration or example? I draw my fashion inspiration from nearly everything so I don’t really have one fashion icon I really look upto. My friends are probably my biggest inspiration as they wear a lot of unique clothes as well. I like to look at how people dress at underground parties and festivals and really enjoy the extravaganza of the Dutch techno scene. But I also get inspired by work of art, films and music videos to name a few! Oh, and I always check out runway videos on youtube to keep up to date with the big fashion week events. 7. Which item in your closet is your absolute favorite? I’m currently loving my River Island Chelsea Boots. They’re really simple but they go with anything and I can walk in them for hours which is also a plus! 8. Any smaller or unknown brands we need to know about? I love the concept of Nobody Has To Know, a shop in Amsterdam which sells unisex / gender neutral clothes! They’ve got some fab items at a decent price! 9. What is your favorite trend at the moment? Currently I’m loving everything mesh and minimal. I love the sexiness and masculinity of these looks. 10. And last, but not least, any tips for people who are currently figuring out their own style? I’d say just wear whatever you want and don’t focus too much on what other people say or what the ‘rules’ are. If you like it, wear it! So, what do you think of Joy’s style? You can check out her blog at www.everydayescapism.com! Prachtig haar en prachtige stijl! Ik vind haar zo geweldig, kijk graag op d’r blog! Gave stijl en mooi haar. Leuk ‘interview’! I love her style very much! I’ll have a look! I like your own style but I see you selections are really cool as well! Super leuke outfit en haar haar is echt awesome, lekker anders! Ik volg haar blog al een tijdje, love it!